iPad is slowly invading newer places. 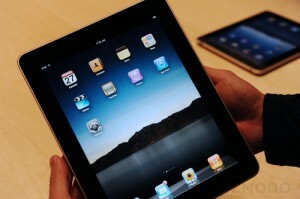 Apple today announced that the iPad will be available in nine more countires this Friday, July 23rd. The countries include Austria, Belgium, Hong Kong, Ireland, Luxembourg, Mexico, Netherlands, New Zealand and Singapore. Unlike its launch both the Wi-Fi and 3G models will be available at launch. No preorders were announced so customers might have to line-up to get their hands on the iPad. There is no information regarding the prices of the iPads but rumor is that they will match up to its original prices here in America. Apple also said today that it plans to release the iPad in more counties throughout 2010. As of today the iPad is already available in the U.S. and Canada, Australia, France, Germany, Italy, Japan, Spain, Switzerland, and the U.K.
With more countries iPad sales are to go up sharply. It will be interesting to note how many Apple might have sold by the end of the year! You can read more about the iPad releases here. Previous A very girly-girly netbook!